Develop a refined style and grace from our Hook Curtain Rod Set. 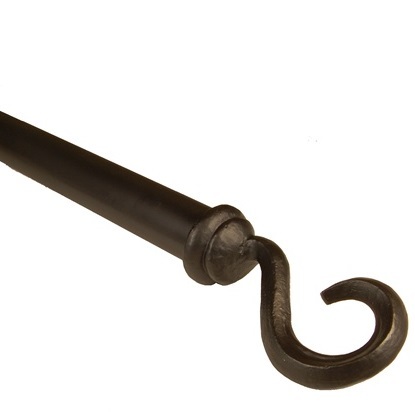 This contemporary take on the classic hook shape is sure to look fabulous in any application. Truly inspired by old world elegance, this thick tapestry rod will perfectly compliment your exquisite tapestry or drapery to add that extra edge to your interiors.